Now that the leaves are down, I just need to post one more shot that reflects how I felt when watching the leaves turn in Vermont: a veritable EXPLOSION of color! 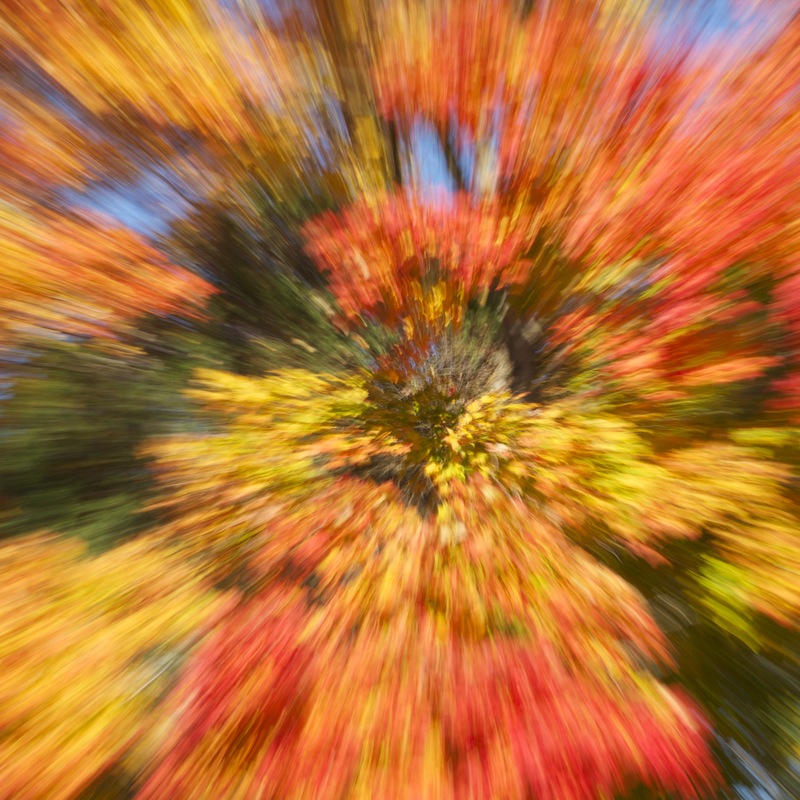 now that is a psychedelic explosion of color fallen down! Oooh! I love this photo! I managed to pull the same shot off with a potted flower at my mom’s house. The trick is finding a good shutter speed.